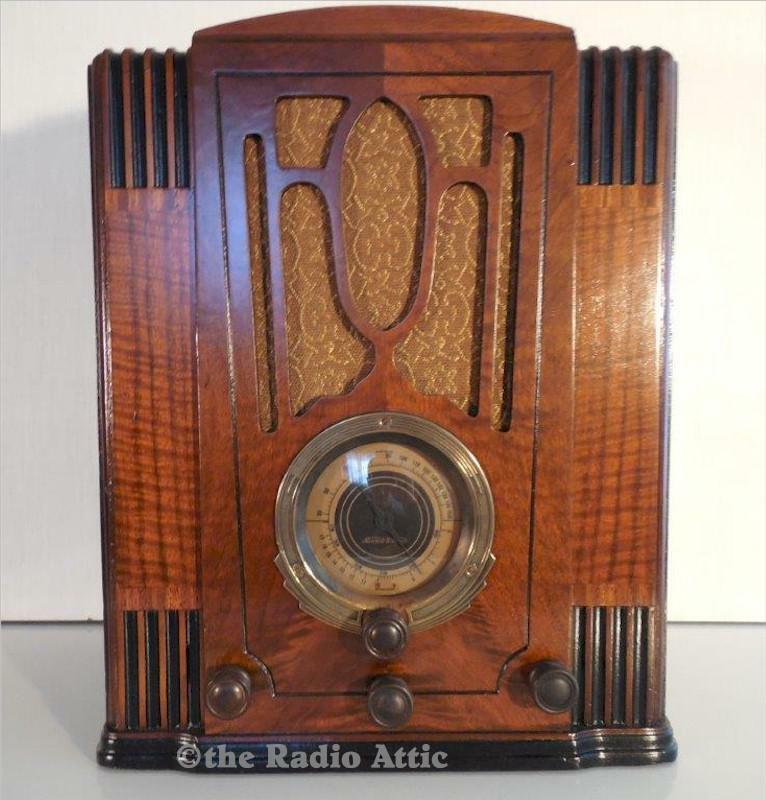 Wonderful styling on this two-band 1935 Stewart-Warner. The cabinet has been refinished with period correct toners and semi-gloss lacquer. All wax and electrolytic capacitors have been replaced on the chassis, as well as tubes and resistors checked, and alignment peaked. Fantastic player on just 10-ft of wire antenna. 17"H x 13"W x 9"D.
You are visitor number 683 to this page.